Graeme Norgate: Hello, it's me from the past. Hello, it's me from the past. I had forgotten all about this... 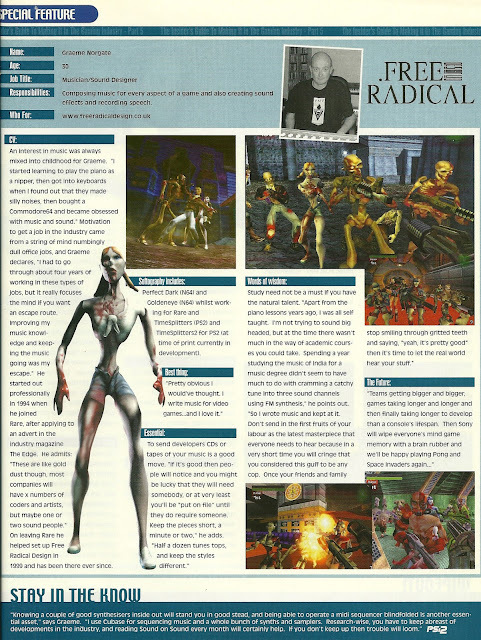 I'd been scanning some documents in for a friend and found this little gem of me waxing lyrical about getting in to the games industry as a spritely 30 year old. I haven't read it, but I'd imagine it's mostly embarrassingly ambiguous .